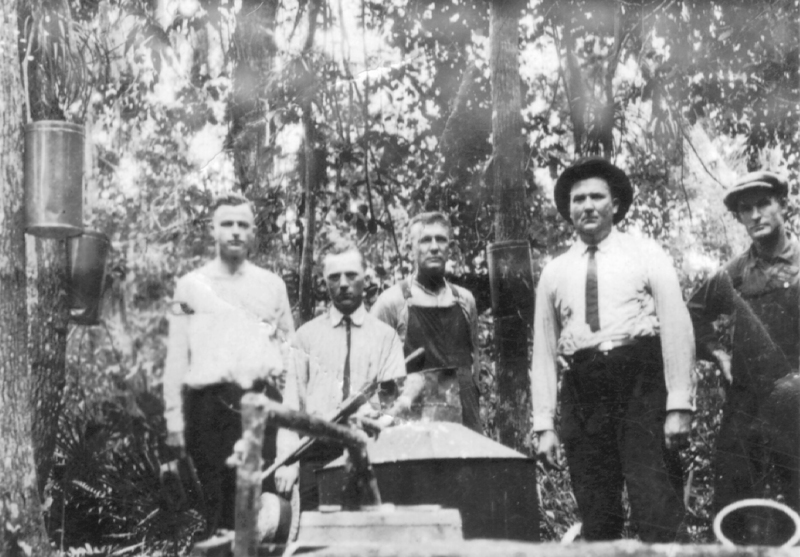 till bust near Glory, about 1930. Chief of Police, Bruner Shaw, 2nd from the right. Other identified is Brooker Shaw, brother of Chief Shaw, 2nd from the left.